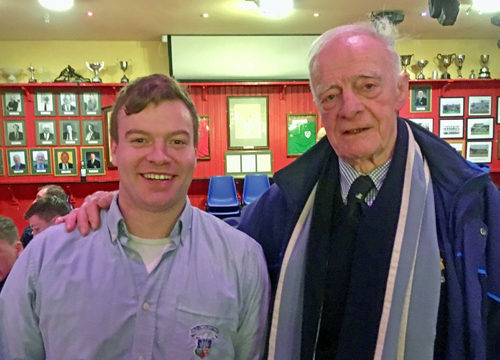 Old Crescent RFC Captain, Darragh O’Brien, with Lions, Ireland and Skerries rugby legend Dr Bill Mulcahy after win over Skerries in Rosbrien. It was a very busy weekend of rugby in Rosbrien last weekend. 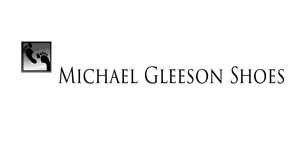 On Friday evening, our Thirds played their Garryowen counterparts in a Gleeson League fixture. On Saturday we had our ‘top of the table’ Division 2B clash with Skerries RFC, and on Sunday our Seconds played Garryowen in a North Munster Senior Seconds League match. Our Thirds came up against a very strong Garryowen Thirds team on Friday night in Rosbrien. We were always under pressure but we never gave and battled hard for eighty minutes. Crescent sustained some injuries in the first half and had to bring on replacements earlier than we would have liked. Garryowen led by a penalty and a converted try at half time. Garryowen scored two further converted tries in the second half. Crescent did get on the scoreboard with an unconverted try in the second half after a successful rolling maul took our pack over the Garryowen line. Final score Old Crescent 5 Garryowen 29. On Saturday on Senior team took on Skerries who going into the game were just two points behind us in the Division 2B table. The Crescent team set out their stall early and were in devastating right from the kick off. Our first score came eight minutes into the game, our pack made serious inroads into the Skerries half before Larry Hanly jinked his way through the visitors defence to score under the posts. Ronan McKenna added the conversion. Crescent continued to dominate the game, pinning Skerries back with quick passing, clever off-loads and destructive drives by our pack and it was 14-0 after 20 minutes with left wing Val McDermott scoring from far out on the right. Ronan added the difficult conversion. Val was on the money again six minutes later when he tore a static defence to shreds with a stunning break that saw him zig-zag over again after fielding the ball five metres inside his own half. Ronan again added the conversion to put us 21 points to nil ahead with a half an hour of rugby played. Our bonus point try score came ten minutes before the break when Shane Mullally burst through from midfield for another well-worked score Ronan added the conversion to leave us 28 points to nil ahead at half time. Skerries tried to get back into the game in the second half and their pack did well for a while in a series of scrums and mauls. However, their efforts came to nothing and our Seniors sealed the win with three further tries and one conversion. Cathal Monaghan dashed over on the end of an audacious looping pass from Ronan McKenna, full-back Brian Touhy sprinted over for our sixth touchdown, and Ronan completed the rout with a solo effort to touch down on the stroke of time. Old Crescent ended the day four points clear at the top of the Division 2B table, having dispatched our nearest rivals, and we can look forward with confidence to our next outing which will be a Friday Night Lights encounter next Friday evening at 7.45pm in Irish Independent Park when we take on Sundays Well RFC. A Supporter’s Bus will leave O’Dwyers Bar in Wolfe Tone St at 5.pm sharp next Friday, cost €15 return. Contact Anthony O’Dwyer 087 2214140 asap to book your seat. 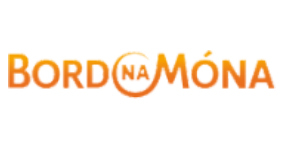 Our Seconds were in action last Sunday afternoon in Rosbrien when they took our near neighbours Garryowen in a North Munster Senior Seconds League fixture. Crescent were first to score when Jack Broderick slotted a penalty, however, Garryowen replied shortly afterwards with an unconverted try. Garryowen got in for a second try on the half hour. They added the conversion to lead by 12 points to 3. Crescent struck back five minutes later when Kevin Meade finished of an attack that took us deep into the Garryowen 22. Jack was unlucky with his conversion attempt which came back of the post. Another Old Crescent attack on the stroke of half time ended with Pieter Homan racing along the touchline to touch down out wide. Jack added the difficult sideline conversion to put us back in front at the break by 15 points to 12 after a very competitive first half. Crescent’s Seconds continued where they left off before the break and scored two superb tries in the first ten minutes of the second half. Dave Garry pounced over a Crescent ruck close to the Garryowen line to score, and a few minutes later Kevin Meade was again on the scoreboard with his second try. Jack Broderick added conversions to both tries to put us 29 points to 12 in front with a half an hour remaining. Garryowen came back hard in the last twenty minutes but Crescent defended valiantly. 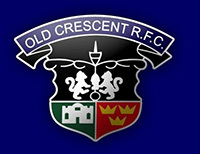 The visitors scored two late tries, one of which they converted, but Crescent secured a bonus point victory by 29 points to 24. 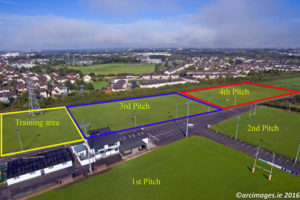 It ended a very busy weekend at our Rosbrien grounds, and that’s not including the massive crowd of underage players and parents in the Club on Sunday morning! Off the field, Old Crescent RFC are holding a Texas Hold’em Poker Classic in the Clayton Hotel, Steamboat Quay, at 8.00pm on Friday, 17th November. It promises to be a super night of fun and entertainment! All are welcome! 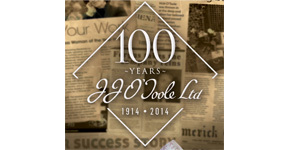 Tickets from Peter Doyle 086 3861054.